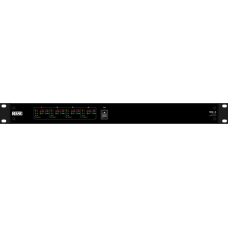 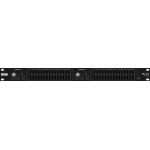 The 100 watt per channel, four-channel MA 4 amplifier achieves unparalleled power density, reliability and features in a space saving 1U, 19 inch rack mount chassis weighing only eight pounds (3.6 kg). 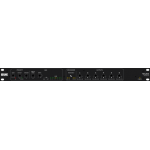 A universal-voltage switching power supply provides near perfect Power-Factor, reducing peak currents to ⅓ compared to non power-factor-corrected supplies. 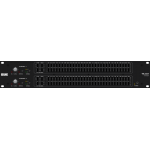 A long list of unique features ranging from constant load power to built in automatic redundancy switching to advanced dynamics control, qualify the MA 4 for the most demanding fixed installation applications. 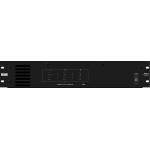 The MA 4 excels in Music & Paging systems, small conference rooms and speech reinforcement applications requiring multiple amplifiers. 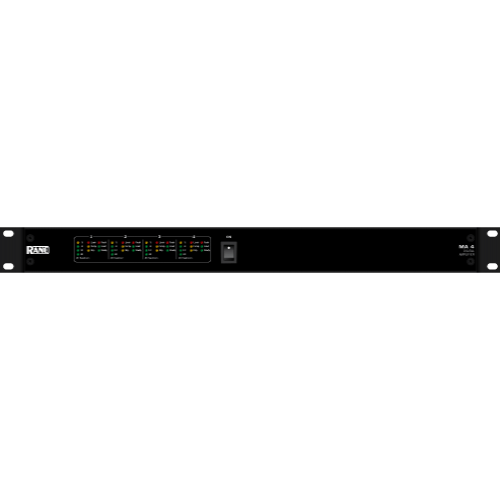 Advanced dynamics control algorithms adapt to changes in temperature, load impedance and sensitivity setting. 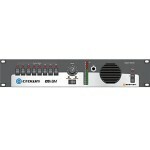 The result is a truly plug-and-play amplifier that ensures excellent signal integrity at all times.